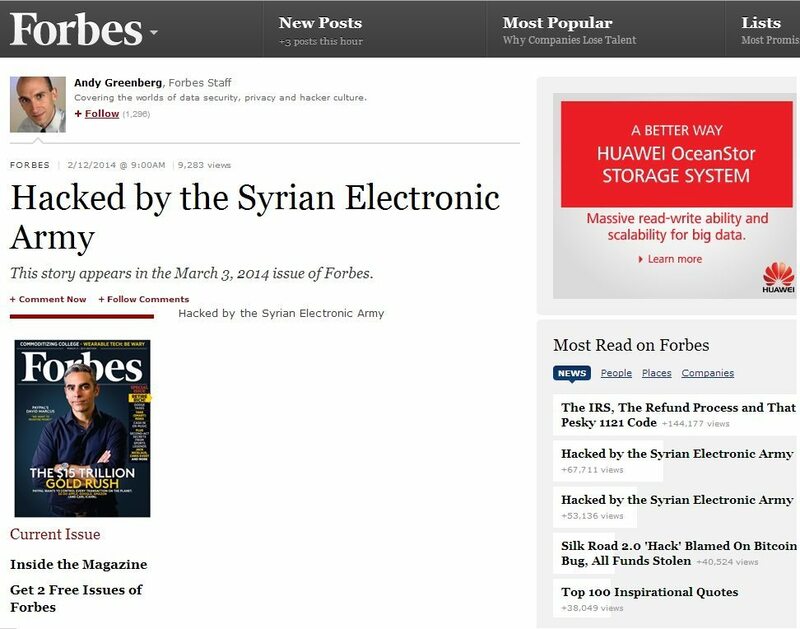 As you can see above an image of the Forbes’ website-SEA hacked the admin panel of the Forbes and added a story with a headline “Hacked by the Syrian Electronic Army” which was written by Forbes’ Travis Bradberry, Matthew Herper, Andy Greenberg, John Dobosz, Steve Forbes (the chairman and editor-in-chief of Forbes Media). SEA also described why they actually hacked the Forbes website and their twitter account, they meant to notify the Forbes for an article against Syria which was based on hate and lies. Meantime, everything has been restored as it was. Previous articleBiggest Internet Service Provider Comcast hacked, CUSTOMERS MUST CHANGE PASSWORD!